Morning Express is our short practices combining physical exercise and meditation, meant to give you all that you need in a nice, small package. This one focuses on finding focus and aiming true to hit our targets. This is a shorter yin practice designed to reconnect ourselves to our own inner intelligence and wisdom. Placing the focus on the liver and gall bladder meridians we use the poses to gently irrigate the body with new energy and calmness. 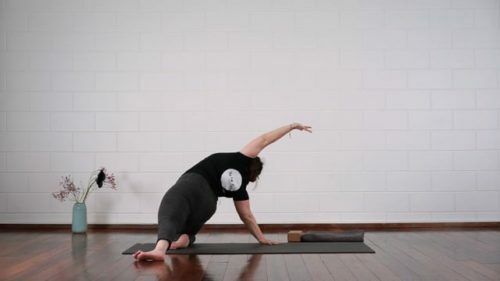 We start on the floor as (almost) always and build up to a gentle flow focusing on the front and the back of the body, with nourishment and structure. We finish with a meditation awakening sushumna, the energy channel that rises from the tail bone towards the top of the head. 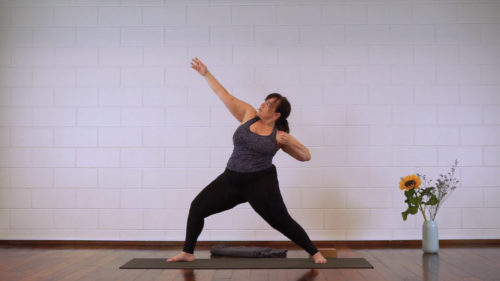 A class specifically designed to gently and deeply melt away tensions around the shoulders and upper back areas. Especially nice after long days behind the computer or the wheel. As always with yin-like classes, keep a blanket, block and belt close by, they can come in handy. This is a shorter sequence meant to move around the energies of these meridians, supporting our processes of detoxification on all levels. When these energies are flowing well, we find it much easier to deal with our daily challenges and choices.